One of the most important decisions to make when crafting persuasive messages is finding the optimum balance of emotional and logical appeals. Few message appeals are entirely emotional or entirely logical, so knowing enough about your audience to mix just the right blend of appeals will help you create more effective messages for both internal and external audiences. You and your students will get added value with unique, free resources. From the groundbreaking Real-Time Updates to Business Communication Headline News to Bovee and Thill’s business communication videos for instructors, Bovee and Thill adopters can take advantage of an unmatched array of free resources to enhance the classroom experience and keep course content fresh. 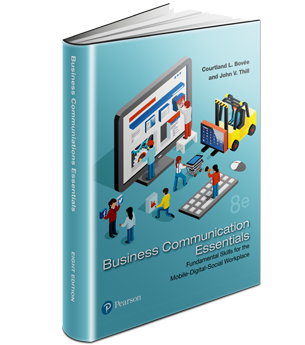 To see a wealth of free business communication resources you can use in your classroom tomorrow, including videos, visit https://blog.businesscommunicationnetw…. Business presentations can turn around a bad situation. It provides an opportunity to right a wrong done to employees, correct a misapprehension, or change a perception. Bovee and Thill's coverage of business presentations is unprecedented. 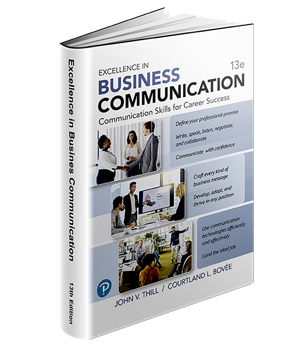 To order examination copies of Bovee and Thill's business communication textbooks (instructors only), visit https://lnkd.in/bvxGGmT. To communicate effectively, to be understood and to understand others, is a set of skills to be learned and practiced. Teach interpersonal communication powerfully and effectively with Bovee and Thill's textbooks. 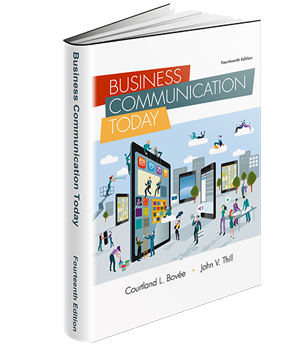 To order examination copies of Bovee and Thill's business communication textbooks (instructors only), visit https://lnkd.in/bvxGGmT.